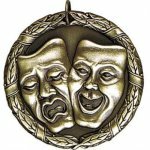 Drama trophies, medals and plaques are used at drama festivals and drama competitions. 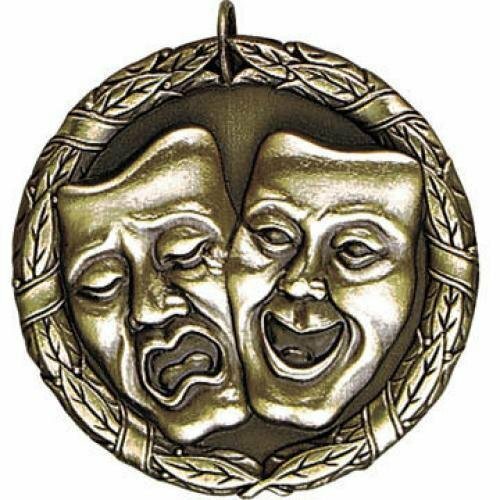 Drama awards are also used to thank the drama director, actors and stage hands. 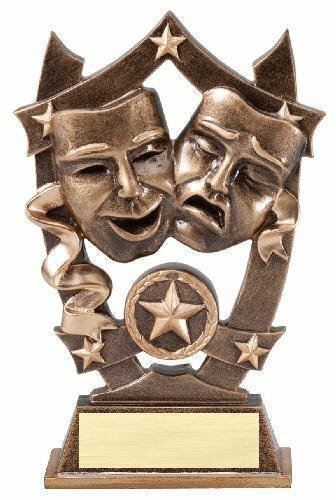 Whether you need an economy trophy or a more elaborate award, you are sure to find the perfect drama award here. Free engraving is available for all awards. FREE Engraving. This is a great choice for an economy drama trophy. 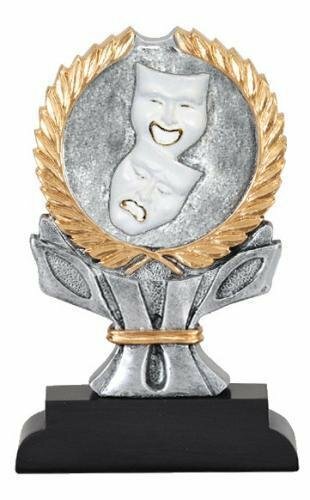 Choose a cheap drama trophy for your team or tournament trophy event. 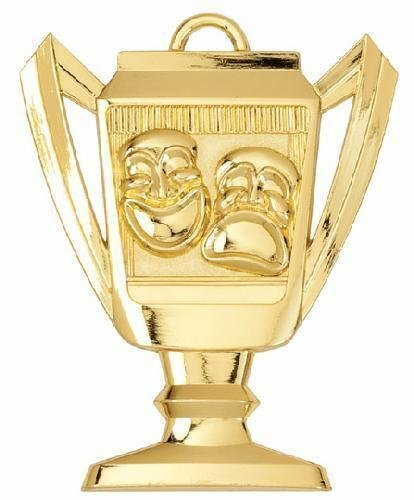 FREE Shipping is available on orders cheap drama trophies over $100. FREE Engraving. The 3D Motion resin drama trophy has a brushed gold laser engraved plate with black letters. 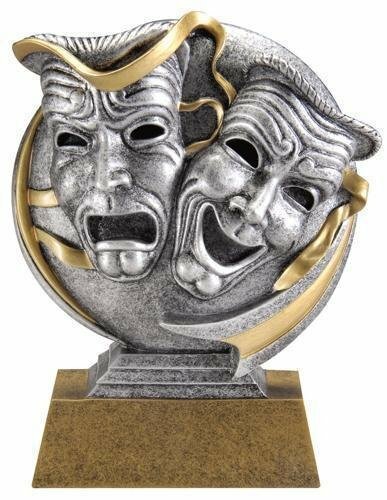 This drama award is an inexpensive trophy with great character. The Drama Impact Award includes a brushed silver plastic plate with up to 3 lines of black laser engraved letters. The Drama Wreath Medal is delivered fully assembled with a laser engraved plate. 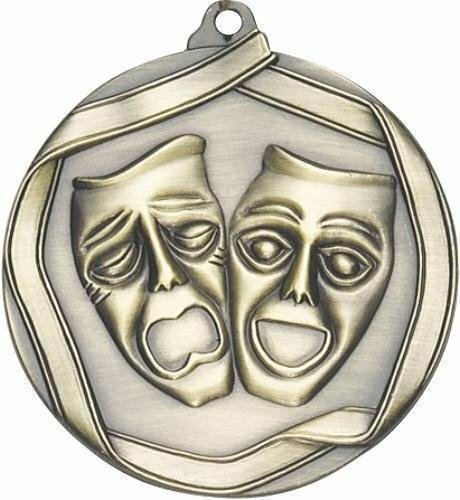 The Ribbon Drama Medal is delivered fully assembled with a laser engraved plate. 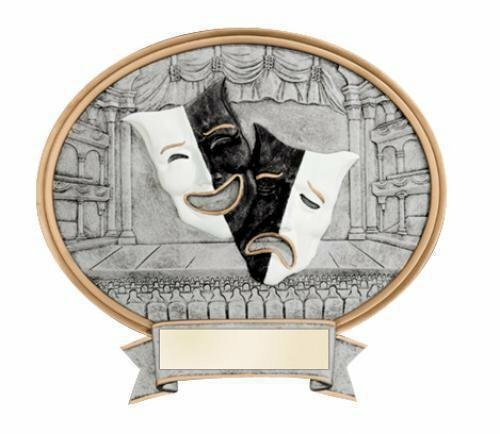 Die Cast Medal 2 1/4"
The Drama Trophy Cup Medal is delivered fully assembled with a laser engraved plate.